4 hours, 4 to 5 wineries, 16 to 20 tastings. Our East Kelowna wine tours include some boutique style wineries and large sophisticated wineries with elegant surroundings. Join us for a 4 hour tour to 4 or 5 wineries in East Kelowna’s bench region tasting wine and enjoying the spectacular scenery. The wineries are: Summerhill Pyramid, Cedarcreek, Tantalus, Spearhead, Vibrant Vine, Kitsch, St. Hubertus, the View and Frequency. Start times are 10am, 1pm or 3pm. Pick up, drop off, all tasting fees and bottled water are included on all tours. Rolling hills of vineyards, sloping down to scenic lake views provide a West Kelowna stunning West Kelowna backdrop for discovering fine local wines, an interesting vineyard or an introduction to the winemaker himself. 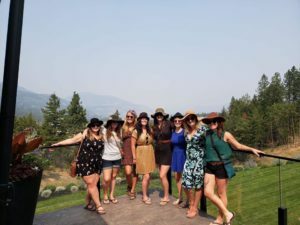 This 4-hour wine tasting tour includes 4 to 5 of the following wineries; Grizzli, Volcanic Hills, Little Straw, Mission Hill, Quails’ Gate, Indigenous, the Hatch, Rollingdale or Mt. Boucherie. You can choose the wineries or leave it up to us. Start times are 10am, 1pm or 3pm. Pick up, drop off, all tasting fees and bottled water are included on all tours. 4 1/2 hours, 4 to 5 wineries, 16 to 20 tastings. Travelling north to take in all this Lake Country scenic wine route has to offer. Here’s to scenic vistas, traditional and ultramodern wineries and a picnic area at Arrowleaf Winery so beautiful you won’t want to leave. 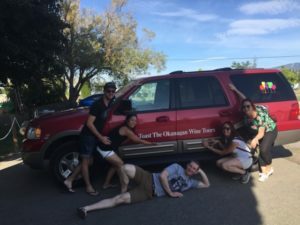 Over 4 1/2 hours we stop at 4 to 5 of the following wineries, with unforgettable views of the Okanagan; Gray Monk Estate, Arrowleaf Cellars, Ex Nihilo, Intrigue Wines, 50th Parallel Estate, The Chase Wines and Ancient Hill. Start times are 10am, 1pm or 3pm. Pick up, drop off, all tasting fees and bottled water are included on all tours. We head to Summerland’s Bottle­neck Drive wineries on our Summerland Wine Tour; an eclectic collection of award-winning wineries with distinctive wines and unique personalities. In 4 1/2 hours, 4 to 5 wineries, scenic views and unlimited fun guaranteed. 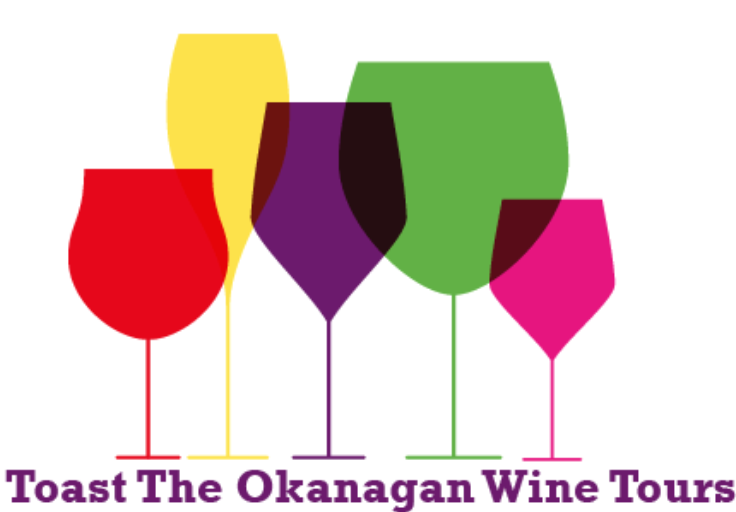 We stop for tasting at 4 of the following wineries; Dirty Laundry, Thornhaven Estates, Okanagan Crush Pad, Sumac Ridge, 8th Generation, Thurn, Fitzpatrick Family Vineyards, Back Door, or Summerland Estate Winery. Minimum of 4 people per booking. Start times are 10am or 1pm. Pick up, drop off, all tasting fees and bottled water are included on all tours. 5 1/2 hours, 4 to 5 wineries, 16 to 20 tastings. 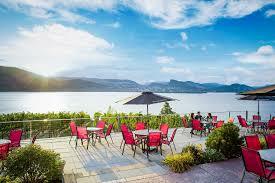 Our Naramata wine tours include the most beautiful scenery in the Okanagan. Bring a picnic or buy lunch at Bench 1775 which has a terrace with the number one view of all the wineries in the Okanagan. The other wineries that we include are the Red Rooster, Ruby Blues and Elephant Island or Kettle Valley. You can also choose the wineries. This tour is around 5 1/2 hours of unforgettable scenery, wine and all around fun. Minimum of 4 people per booking. Start time is 10am. Pick up, drop off, all tasting fees and bottled water are included on all tours. 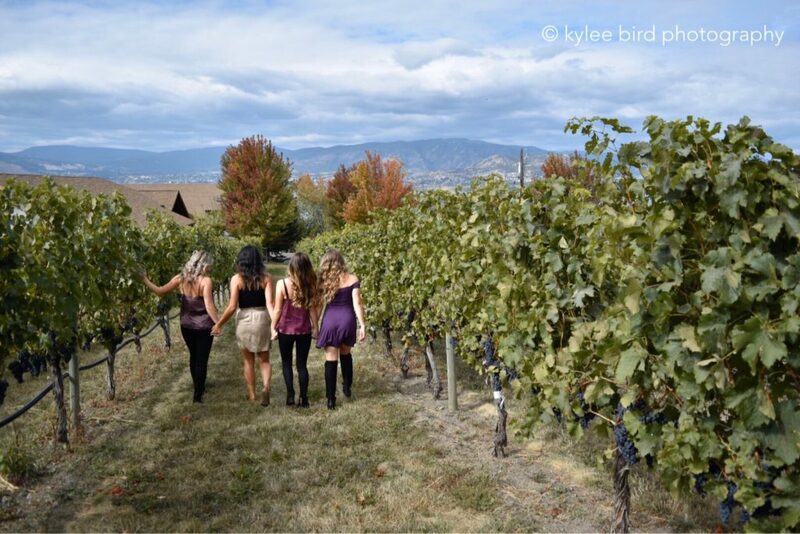 Our wine tours are private if the group is 5 or more for East or West Kelowna. For Lake Country, Summerland and Naramata please request it. On all of our tours if you have less than 5 people and would prefer private, please let us know and we will try to accommodate you at no extra cost. If not, the extra charge is $100 per group. Start times are 10am, 1pm or 3pm. Pick up, drop off, all tasting fees and bottled water are included on all tours. A great way to enjoy a day out tasting wine in the most beautiful part of the World with your best friends before the big day. Unforgettable tours in the most fun, relaxed atmosphere. The bride is always free if the group is 6 or larger. We also include saboring and a bottle of sparkling wine. We pay attention to detail to make sure your day is the best it can be. Start times are 10am, 1pm or 3pm. Pick up, drop off, all tasting fees and bottled water are included on all tours. 4 hours, 4 to 5 stops, 20 to 25 tastings. We have introduced a spirit, craft beer and cidery tour. Enjoy tastings over 4 hours at 4 to 5 of the following locations; Urban Distillery, Okanagan Distillery, Tree Brewery, The Beer Institute, Kettle River Brewing, Red Bird Brewing, Scenic Cidery and BC Tree Fruits Cidery. Each one offers it’s own unique tasting experience which includes several craft beers, spirits and cider. If you are looking for something a little different from the regular wine tours, this tour is for you. A tour of one of the distilleries is included if you choose. You can also switch up a distillery, brewery or cidery for a winery or 2. Start times are 10am, 1pm or 3pm. Pick up, drop off, all tasting fees and bottled water are included on all tours. 6 hours, 4 to 5 wineries, 16 to 20 tastings. We offer daily wine tasting tours from Big White to East or West Kelowna. We pick you up and drop you off at your Big White accommodation. The rate includes pick up and drop off at Big White, all wine tastings and bottled water. Minimum of 4 people. (The rates are the same as from Kelowna plus $40 pp) Pick up is 10am.